There is no question that we want to protect our beloved iPhone. No other device is there more than our smartphone. Often it is on the table in the customer appointment, business appointment or restaurant. But as soon as the cover is worn out and old, the beautiful design loses its WOW effects and you keep it in your pocket. One thing is certain: the design of the iPhone models is ingenious. That's why we at BULLAZO have set out to design equally ingenious iPhone cases made of leather. An iPhone case made of real leather in the classic colours black, brown, grey or cognac impresses with a discreet and noble first impression. The iPhone leather cases and cases meet our demand for an iPhone bag for business and private use in highest quality and with practical details. Discover the ultra-thin BULLAZO iPhone 7 leather case and the practical iPhone 7 Flip Case as a fold-up case. Who doesn't know it? The iPhone is always ready to hand. And then you need a business card, your credit card or bank card or a little money to pay for the coffee or taxi driver. We are on the road a lot, have less and less time and more and more appointments. That's why we try not to waste valuable time. With the iPhone 7 Flip Case as a fold-away case or leather case, the most important cards are always at your fingertips in the smart integrated card slots next to the iPhone. The iPhone 7 leather case can also be used as a purse on the go. 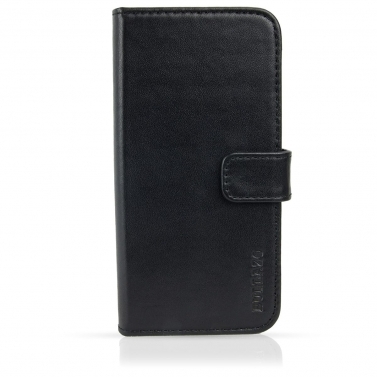 The magnetic closure ensures that everything is tightly closed if the leather cover is stored in a larger bag. Ultimately, it's a matter of individual taste and everyone should decide for themselves whether a flip cover or a fold-away sleeve, or a thin, flat back cover, meets their own requirements for an iPhone protective leather case. We love the iPhone design. It's so flat that it would be a pity not to be able to take advantage of its advantages. 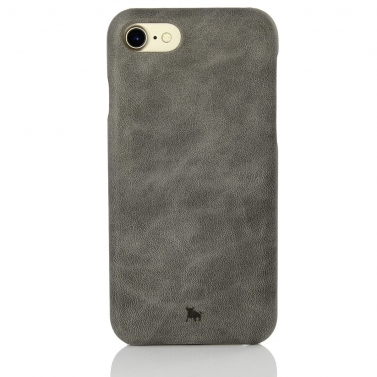 For all those who want to offer the iPhone a protective case without compromising on a thin design, we have developed an ultra-thin leather case made of high quality cowhide. 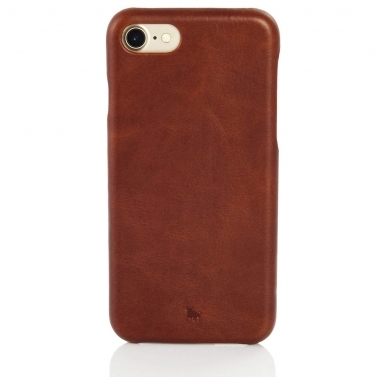 The leather case snuggles like a second skin to the iPhone. An absolute highlight, especially as an iPhone 7 leather case: such a flat smartphone deserves a classically elegant and ultra-thin leather case - and nothing else!